Of course, they were also favorite Halloween treats. 2. This candy started out as Frutola in the 1930's. The creator was J. Fish Smith. Frutola was originally intended as a drink mix, but children preferred them as powdered sugar candy. 3. 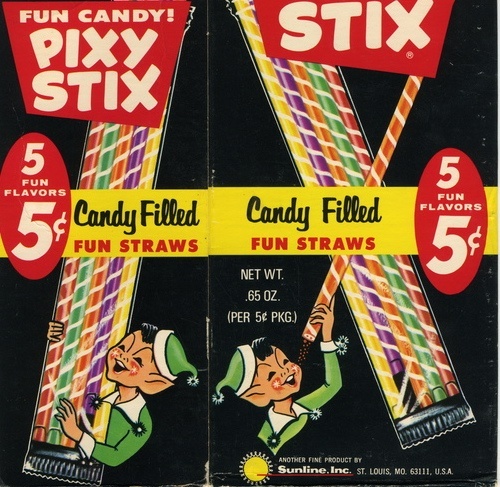 Pixy Stix as we know them today were first made in 1952 by the Sunline Company. 4. The giant plastic Pixy Stix is 2 feet long. Yes - two feet of sugar! 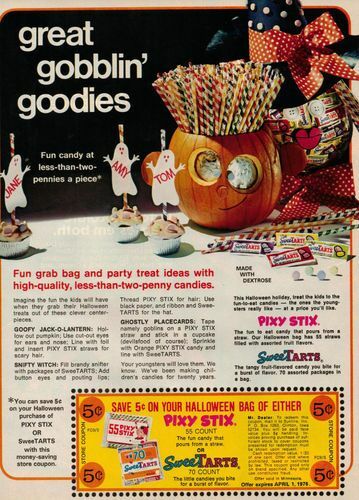 Do you remember Pixy Stix? Do you still crave them, or are they too sweet for you now, too? I'd love to hear from you in the comments, below. blueberry, orange, watermelon, lemon, pineapple, strawberry, Maui punch, cherry, green apple and grape. Love this, haha! That is great information for a Tuesday. Thanks for sharing! Thanks, y'all! I appreciate the visits! Fun post! 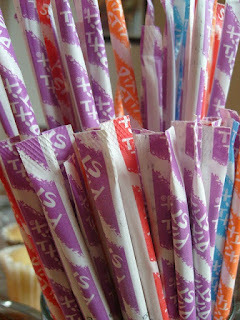 My kids love pixy stix! We have a jar, always full, on the counter.